Thailand’s mountainous north offers a very different experience from its famous southern beach destinations. A cooler climate, beautiful mountainous scenery and a more relaxed, laid back feel make northern Thailand a unique destination that’s worth experiencing. 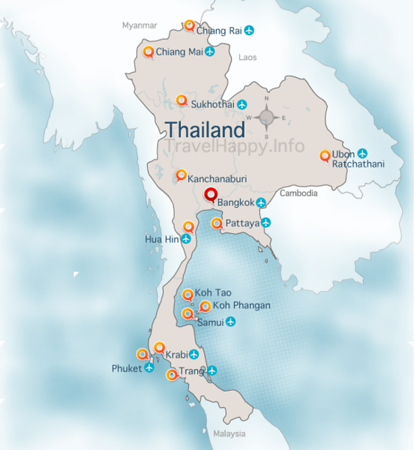 For more itineraries for different kinds of Thailand trips, see our Thailand Itineraries page. From Chiang Mai, the region’s population centre and cultural capital, to small but increasingly popular mountain towns like Pai and Mae Hong Son, northern Thailand has a wide range of great destinations on offer. Are you planning a trip to Thailand and want to see a different side of the country? Read on to discover northern Thailand with our one week travel itinerary for Chiang Mai and Thailand’s mountains. Chiang Mai is the gateway to Thailand’s mountainous north, as well as a major destination in its own right. A small city of approximately one million people, Chiang Mai has a quiet and laid back feel that’s worlds apart from bustling, crowded Bangkok. Most of Chiang Mai’s historical attractions are located within the Old City — a walled off section of the city that’s still surrounded by a protective moat. 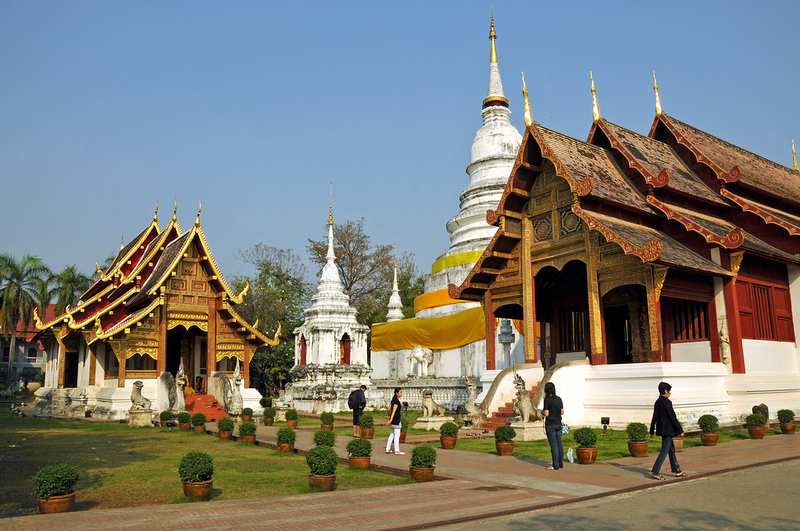 Temples like Wat Chedi Luang and Wat Pan Tao are major highlights of the city’s historical centre. 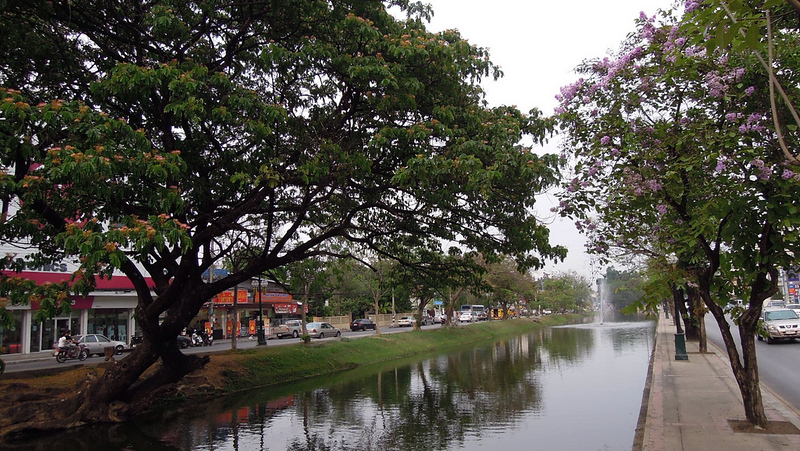 Travel outside the Old City’s protective walls and Chiang Mai has even more to offer. From the incredible views from Wat Phrathat Doi Suthep to mountain biking, trekking and more, there are a huge amount of outdoor attractions and activities that make Chiang Mai so much fun. Recommended for: Solo travellers, families and couples. Stay for: Two to three nights, or just stop over on the way to the mountains. Nearby: Pai, Mae Hong Son and Chiang Rai are all easy to access from Chiang Mai. Arguably Chiang Mai’s most famous attraction, Wat Phrathat Doi Suthep is a Buddhist temple located at the peak of Doi Suthep. The temple, which is a 15 kilometre drive from Chiang Mai, has incredible views over the city and its surroundings. Accessing Wat Phrathat Doi Suthep is an experience in itself. Visitors can climb 309 steps to reach the temple, or travel up to the peak by tram. Like other temples in Thailand, you’ll need modest clothes that cover your shoulders and knees, as well as closed shoes. Chiang Mai’s Night Bazaar, which is located on Thanon Chang Khlan at the eastern side of the Old City, is one of the city’s most popular shopping spots. Open from 6pm until midnight daily, the Night Bazaar is a great place to shop for souvenirs, clothing and cheap accessories. Since the Night Bazaar attracts a lot of international tourists, prices are on the high side when compared to other outdoor markets in Thailand. Be prepared to negotiate if you see something you like, as it’s usually possible to wipe 30% or more off the initial price. Thailand tallest mountain, Doi Inthanon, is located around 100 kilometres from Chiang Mai and is a fun day trip. At 2,565 metres (8,415 feet), the summit offers incredible views over northern Thailand’s mountainous scenery. Numerous companies offer day trips to Doi Inthanon from Chiang Mai, reaching the mountain in about 2½ hours. Most tour buses normally stop at Wachirathan Waterfall on the way to the peak — an impressive segmented series of waterfalls with a height of approximately 80 metres. Known as the Sticky Waterfalls due to their climbable surface, the Bua Thong Waterfalls are a fun day trip destination outside Chiang Mai. Large parts of the waterfalls are free of algae and are surprisingly easy to climb. Dragon Flight is a canopy course inside the dense jungle surrounding Chiang Mai. The course is made up of 26 separate ziplines — the longest of which spans 800 metres — a panoramic bridge, three abseils and a huge range of other exciting obstacles. There are several elephant sanctuaries around Chiang Mai offering visitors the chance to see these incredible animals up close. Elephant Nature Park is a rescue and rehabilitation center that provides working and endangered elephants with a safe, healthy place to live. Chiang Mai’s mountainous surroundings are great for mountain biking, with a huge selection of downhill and cross-country trails hidden beneath the forest canopy. Chiang Mai Mountain Biking & Kayaks has a great selection of bikes and courses available for beginners and experts alike. Located beside the Ping River, Anantara Chiang Mai Resort and Spa is a five-star resort hotel with beautiful grounds. The hotel is a short drive from the Chiang Mai’s Old City and has great facilities, including a three-level outdoor pool and children’s play area. The Golden Bell Hotel is a comfortable three-star hotel located a short distance from the centre of Chiang Mai. Although it’s slightly outside the Old City, temples like Wat Muen Tum and Wat Chedi Luang are within walking distance of the hotel, making it a convenient choice. Located inside Chiang Mai’s historic Old City, Sleep Guesthouse is a low-cost guesthouse with an excellent location. Wat Chedi Luang and other historic attractions are within walking distance of the guesthouse, as are numerous local dining options. Pai is a small mountain town that’s three hours from Chiang Mai by road. 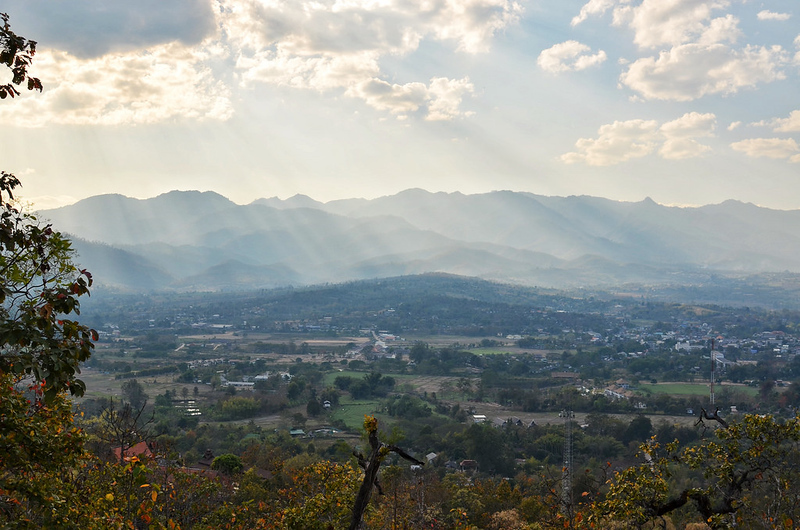 Surrounded by dense forest and northern Thailand’s beautiful mountains, Pai is a unique town: its atmosphere is equal parts hippie backpacker destination and romantic mountain resort. Although most visitors to Pai make the trip there via minivan or bus, Kan Airlines offers flights to and from Pai via Chiang Mai Airport. Pai’s biggest attraction is its surroundings. Bamboo rafting, mountain biking and trekking are all possible in the area surrounding the town itself. Pai also has a great range of unique attractions for visitors, such as an elephant sanctuary and fishing park. After sunset, Pai’s hippie atmosphere comes out on display, with a street market and a selection of small bars and restaurants opening up. Pai’s accommodation options range from backpacker hostels and inexpensive guesthouses to isolated, quiet and beautiful upmarket resorts. From backpackers searching for a chilled out, relaxing small town to couples seeking a peaceful place to spend the weekend, Pai has something for everyone. Recommended for: Backpackers, solo travellers, couples. Stay for: Three to four nights. Nearby: Mae Hong Son is accessible via bus from Pai. 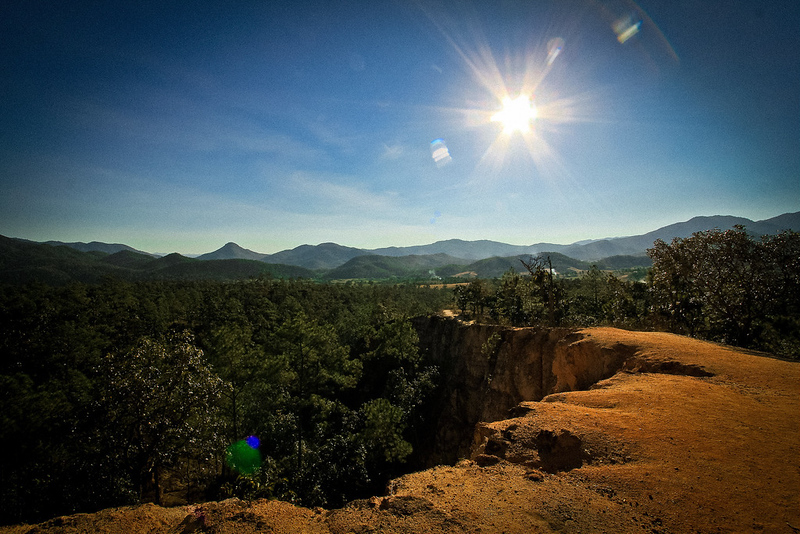 Pai Canyon, which is about 10 minutes away from Pai on Route 1095, is made up of a series of steep cliffs offering fantastic views over the area. The canyon’s trails are somewhat rough and dangerous — leave the sandals at home and wear comfortable shoes if you plan on exploring. A stunning Buddhist temple offering fantastic views of Pai, Wat Phra That Mae Yen is located on a hilltop just outside the town. Like Pai Canyon, it’s worth visiting in comfortable footwear, as the temple is located at the top of more than 300 stairs. Pai is surrounded by several waterfalls, many of which are located quite far in the forest and can require a fairly extensive detour and trek. Pam Bok Waterfall is one of the easiest to access and has a small freshwater pool in which visitors can swim. Although Pai is best known as a backpacker destination, several upmarket hotels have opened in recent years in and around the town. Reverie Siam Resort is a luxurious four-star resort that’s located a short distance from Pai with great views over the area’s mountainous scenery. Kirina Retro House is a clean, comfortable and affordable three-star hotel located a short walk from Pai Airport. Thanks to its location slightly outside the town center, Kirina Retro House is a convenient option close to Pai’s major sights but far enough away to avoid the noise. Located across the Pai River, Pairadise Guesthouse offers simple bungalows in a location that’s isolated and quiet but still within easy walking distance of Pai. Low prices and a selection of fan and air conditioned bungalows make Pairadise a good choice for travellers on tight budgets. Located far in the northwest of Thailand, Mae Hong Son is a small mountain town with a quiet atmosphere. Less popular as a tourist destination than Pai, Mae Hong Son’s beautiful temples and impressive scenery make it a great off-the-beaten-path destination. 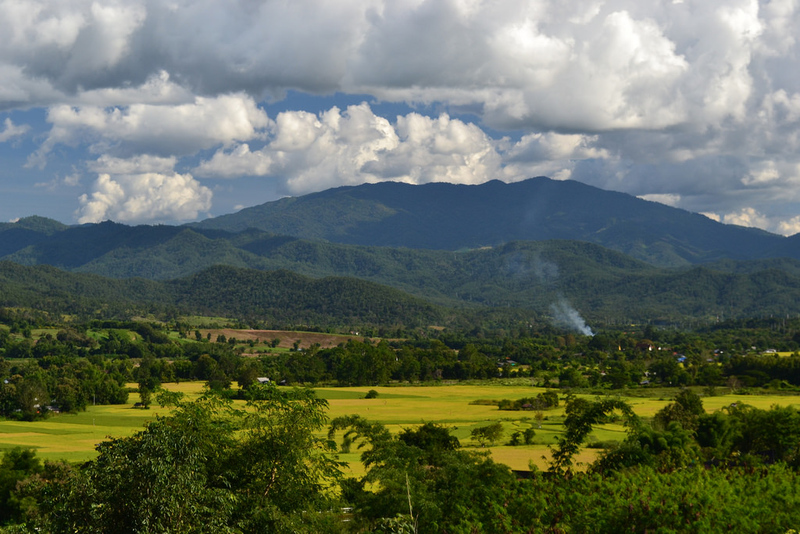 Mae Hong Son’s dramatic surroundings are its biggest attraction. Tham Pla–Namtok Pha Suea National Park, a short drive from Mae Hong Son, is home to impressive caves, mountain trails and a selection of impressive waterfalls. Other attractions close to the town, such as Wat Phra That Doi Kong Mu and the impressive Sutongpe Bridge, provide great views of the area’s incredible scenery and a look into life in Thailand’s rural north. Since Mae Hong Son is largely off the tourist radar, visiting is a rewarding experience. While there’s no mass tourism to be found here, Mae Hong Son’s selection of hotels and attractions make it a great place to spend two to three nights. Stay for: Two to three nights. Wat Phra That Doi Kong Mu’s is a hilltop temple located shortly outside Mae Hong Son famous for its two white chedis. The temple has fantastic views over Mae Hong Son and the valley that surrounds the town and is accessible either on foot or by motorcycle. Built over rice paddies, Sutongpe Bridge is a handmade bamboo bridge that connects the town of Kung Mai Sak with a local temple. The bridge is so lightly built that it flexes beneath people’s feet, all while offering great views over the area’s rice farms. Mae Hong Song’s touristic centre, Chong Kham Lake is a small lake that’s surrounded by bars, restaurants and guesthouses. The lake’s relaxed atmosphere and nearby night market make it an excellent place to relax and enjoy the afternoon and evening. Wat Chong Kham is a large Buddhist temple located next to Chong Kham Lake. 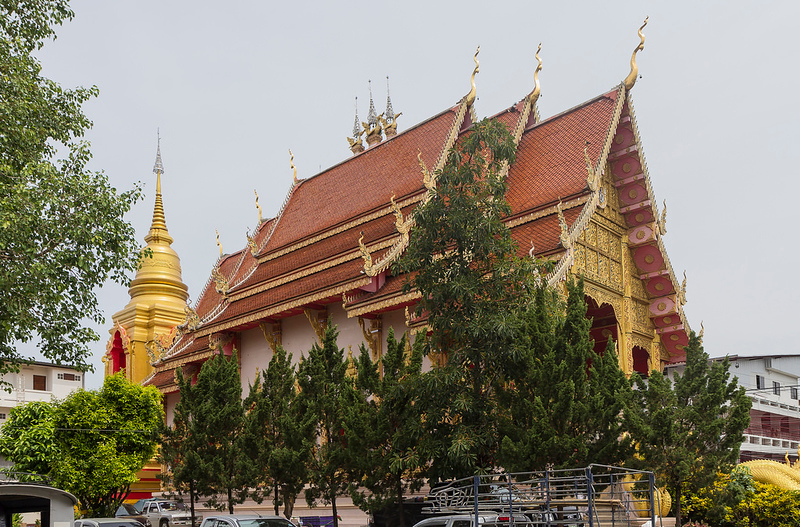 Originally built in 1827, Wat Chong Kham was rebuilt to its original design in the 1970s after a fire. Wat Chong Klang, a smaller temple with a white and gold chedi, is located within the grounds. One of Mae Hong Son’s most popular hotels, the Imperial Mae Hong Son Resort is a four-star hotel with clean, comfortable rooms and an outdoor pool. The hotel’s quiet location just outside Mae Hong Son make it a great place to relax after exploring the area. With an isolated location and beautiful surroundings, Fern Resort is a comfortable three-star resort that’s ideal for enjoying Mae Hong Son’s incredible scenery. Located a short distance from Mae Hong Son, Fern Resort is easy to access using a rental motorbike. One of Mae Hong Son’s most conveniently located guesthouses, Boondee House is a short walk from Chong Kham Lake and attractions like Wat Chong Kham. A small selection of clean and simple rooms with free Wi-Fi are available at reasonable prices. Thailand’s northernmost city, Chiang Rai is a great gateway to the country’s mountainous North and an easy destination to reach from Chiang Mai. Home to 200,000 people, Chiang Rai is far bigger than northern Thailand’s mountain towns but still has a quiet, small town atmosphere. Like Pai and Mae Hong Son, Chiang Rai is surrounded by beautiful mountains, dense forest and incredible scenery. More than any other destination in Thailand, Chiang Rai is well known for its trekking, with numerous hill tribe settlements accessible from the city. Other activities, such as bamboo rafting, elephant trekking and mountain biking, add to Chiang Rai’s appeal, making it a great destination for adventure tourists and people seeking access to north Thailand’s famously beautiful countryside. Recommended for: Couples, solo travellers and families. Like other night markets throughout Thailand, Chiang Rai’s Night Bazaar sells a mix of clothes, souvenirs and accessories. Along with the typical night market items, you can find a selection of Lanna souvenirs at reasonable prices throughout the market. Designed and built as an art exhibit, Wat Rong Khun was constructed in 1997 and has become one of Chiang Rai’s top tourist attractions. The temple’s incredible design and unconventional look makes it a great place to visit while staying in Chiang Rai. With great views over the Kok River and a quiet location 15 minutes outside of Chiang Rai City Centre, Le Meridien Chiang Rai Resort is a modern five-star resort with a selection of luxurious rooms and suites and a large infinity pool. Located close to the centre of Chiang Rai, Le Patta Chiang Rai Hotel is a clean and comfortable four-star hotel in a good location. The hotel’s rooms come equipped with free Wi-Fi, while a pool and small garden area make the hotel’s grounds a relaxing place to be. Happynest Hostel is a small budget hostel with just nine rooms located close to Chiang Rai City Centre. With a mix of dorms and private rooms, Happynest is a low-cost accommodation option that’s ideal for backpackers and budget travellers.